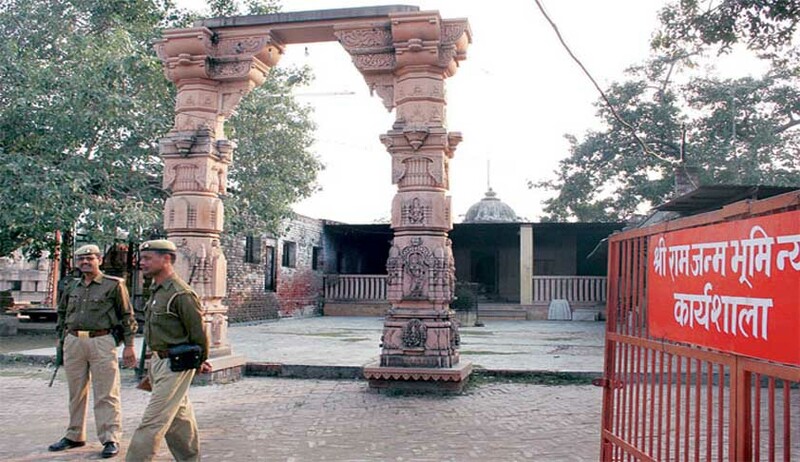 Ayodhya Case: Sunni Wakf Board& Babri Action Council Wanted Hearing Deferred Post-July 2019 Citing Political Ramifications; SC Keeps It For Feb 8,2018. Amidst a high-voltage hearing, the Supreme Court bench headed by Chief Justice Dipak Misra rejected a request by Sunni Wakf Board and Babri Masjid Action Committee to defer the hearing of the matter to post-July 2019 and fixed the hearing for February 8,2018. Senior Advocate Kapil Sibal appearing for Sunni Wakf Board said the case had a huge political ramification and the hearing was being expedited on the plea by a person who is not even a party in the case (referred to BJP leader Subramanium Swamy without naming) just to fulfill a promise something mentioned in the party manifesto. At one moment Sibal, Rajeev Dhawan and Dushyant Dave threatened to walk out saying that the court wanted to go ahead with the hearing without convincing them about the urgency. "This is a trap and the court should not fall into it.Somebody is pushing the party manifesto", said Sibal. "it's true that the outcome of title suit may have ramifications.But to hear such presumptions is disturbing.The very fact that the request for a hearing in July 2019 is being made makes it all the more important that the hearing be started today.This is an extraordinary request .There are several judgments that have repercussions that does not mean the court need not hear a case"
Sibal also reminded that case documents ran to 19,000 pages and it can't be heard in a hurry. But the bench refused to defer it to post-july 2019 and fixed it for February 8. The bench asked the parties to complete pleadings by that date.All AORs of the senior lawyers have been asked to cooperate to complete the filing of documents. A special bench of Chief Justice Dipak Misra and justices Ashok Bhushan and Adbul Nazeer was commencing the final hearing in the long-standing Ram Janmabhoomi-Babri Masjid title dispute, a day before the 25th anniversary of the demolition of medieval-era structure in Ayodhya. A total of 13 appeals filed against the 2010 judgement of the Allahabad high court in four civil suits is before it . HC had ruled a three-way division of the disputed 2.77 acre area at Ayodhya among the parties — the Sunni Waqf Board, the Nirmohi Akhara and the Lord Ram Lalla. A sect of Muslims, under the banner of Shia Central Waqf Board of Uttar Pradesh, had earlier approached the court offering a solution that a mosque could be built in a Muslim- dominated area at a “reasonable distance” from the disputed site in Ayodhya. However, its intervention was opposed by the All India Sunni Waqf Board which had claimed that judicial adjudication between the two sects had already been done in 1946 by declaring the mosque, which was demolished on 6 December 1992, as one which belongs to the Sunnis. The top court had on 11 August asked the UP government to complete within 10 weeks the translation of the evidence recorded for adjudication of the title dispute in the high court.